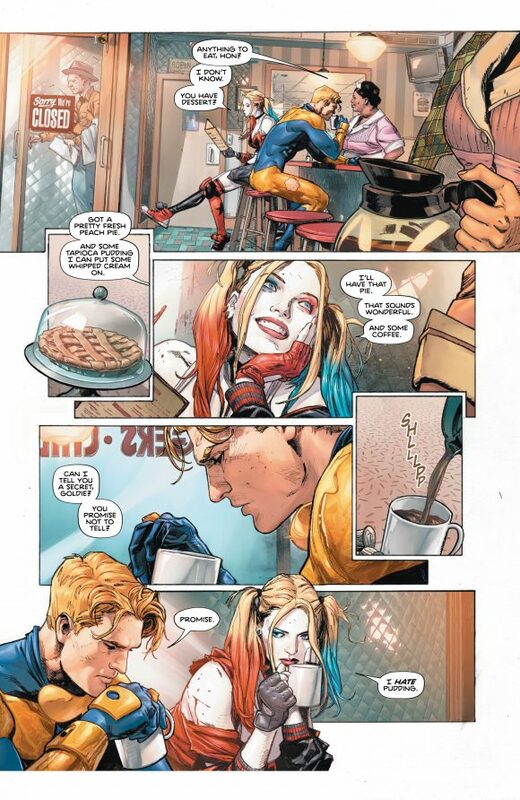 Heroes in Crisis, DC’s newest event comic – by writer Tom King with line art by Clay Mann – debuted Wednesday. 1. In a nutshell, the first issue shows us the aftermath of a slaughter at Sanctuary, a secret mental-health facility for superheroes suffering from PTSD and other emotional trauma. It was created by Superman, Batman and Wonder Woman, who are horrified to find that the place they’ve set up as a haven has become a killing ground. 2. The issue is naturally well crafted. You’ve got an Eisner-winning writer who’s passionate about the subject matter and an art team – Mann, colorist Tomeu Morey and letterer Clayton Cowles – that’s capable of shifting between violent action and introspective moments. 3. That’s important because the hallmark of the story is a series of nine-panel pages where various characters unburden themselves – or in some very significant ways, don’t – to what is presumably an off-camera therapist or counselor. They’re interspersed throughout the book. I’m not entirely sold on the device yet because there’s a danger that these sequences will end up a bit too cloying or pat. 5. I can’t say I’m surprised about Arsenal (nee Speedy). You can argue that this is the logical conclusion to 47 years of him being put through the ringer. 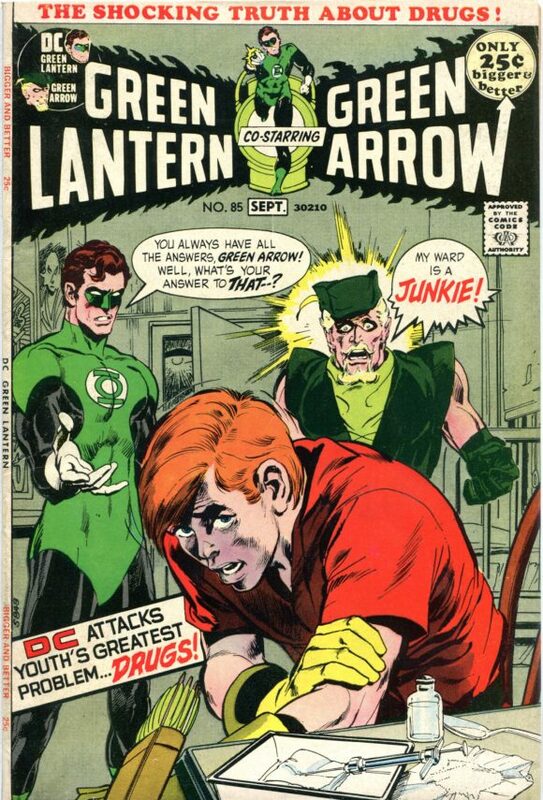 When Denny O’Neil and Neal Adams turned Roy Harper into a heroin addict in 1971, it was a major comic landmark that put an exclamation point on the end of the shiny, happy Silver Age, which had faded out at the end of the ’60s. In the intervening decades, Harper never got too far from his addictions — which were expanded to include pills and booze — and was always struggling with his demons. 6. 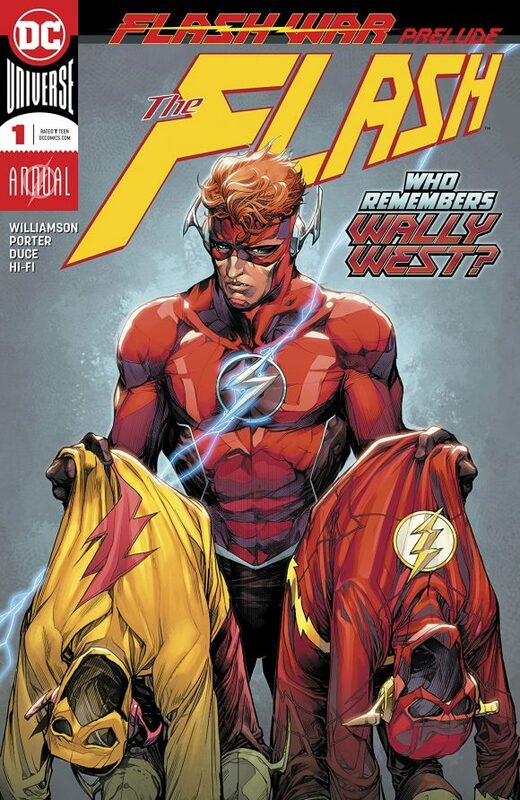 In a sense, Wally West’s demise feels more painful and unfair. This is more for meta reasons, though. Original Wally has really gotten a raw deal in the last 10 years or so. Once Barry Allen returned to the land of the living, Wally – who was the Flash for an entire generation – became irrelevant. He was sidelined by the New 52 and DC never really seemed to know how best to utilize him when they brought him back during Rebirth two years ago. 7. The clues that they would be killed were there, though. Both Roy and Wally were left out when DC’s Titans books were rejiggered a couple months ago and Wally became increasingly unhinged during the recent Flash War storyline. CBR, meanwhile, did a good job reading between the lines about Roy. 8. Either way, I say all this knowing that death is almost never permanent in comics. But it’s disappointing that we probably won’t see either of these two again for a long time. 9. The other major casualty, in a fashion, is Booster Gold, who doesn’t die in the issue but whose recent descent into madness (as chronicled in King’s Batman) takes on horrific new dimensions — and feels almost cruel. By the way, I’m sure others will point to Booster being a time traveler who could undo what’s happened. I don’t see that kind of cheap resolution coming. 10. Side note: It’s kind of fascinating what’s going on with DC’s world-building right now. They’re really on three tracks with the main DCU: You’ve got Geoff Johns and Gary Frank’s Doomsday Clock, which promises huge developments in the year ahead. You’ve got Scott Snyder and crew ratcheting up the cosmic stakes in the Justice League and Titans books after Metal and No Justice. And now you’ve got King and co. inverting all the multiversal stakes with a series focusing on deeply personal sacrifice and loss. 11. 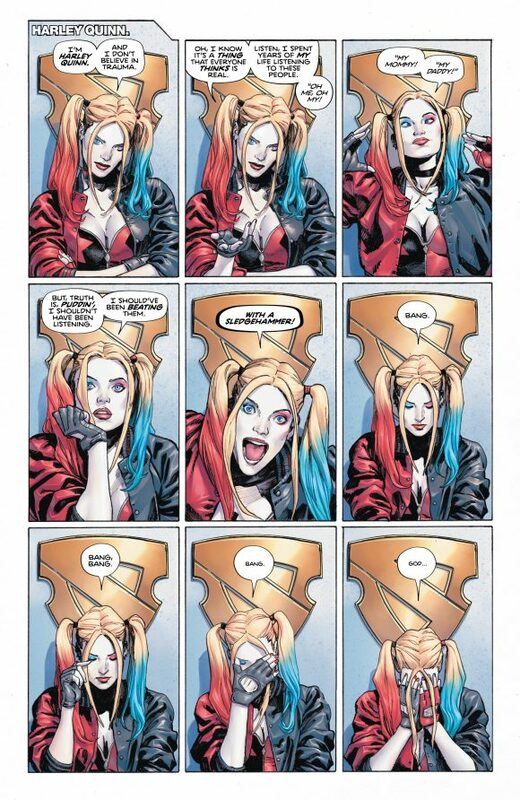 Anyway, when it gets down to it, I’m deeply ambivalent about Heroes in Crisis. DC earned a tremendous amount of goodwill in 2016 by both embracing its past and by injecting an optimistic tone into its books. That’s not to say it’s been all sweetness and light. Modern superhero comics need that hard edge. But it felt like the publisher had achieved that difficult balance of grim-and-gritty and whiz-bang adventure. 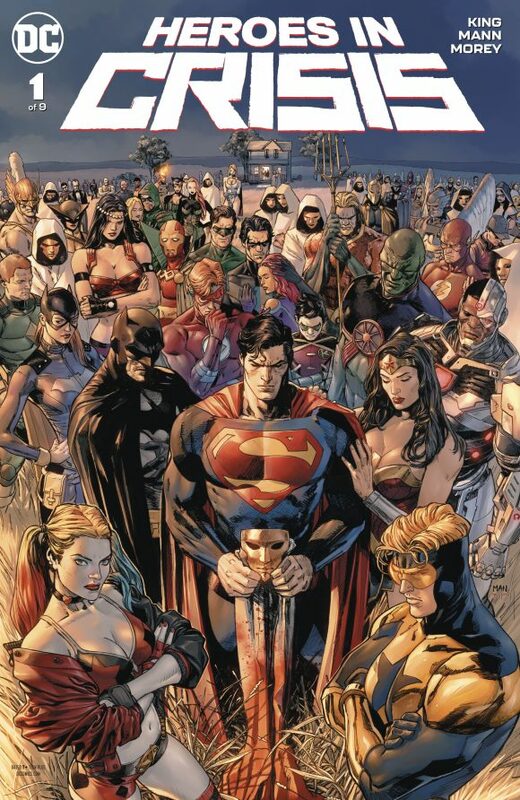 Fingers crossed that Heroes in Crisis doesn’t usher in another era where misery trumps hope — regardless of how well executed the story is. Then again, King’s forte is telling stories about people who endure — and maintain their humanity — through a world of pain and hardship. 12. And I will say I fully recognize that I may not be the proper audience for this series. The issue was potent and intriguing but the older I get, the more I want my comics to be more escapist – and this is anything but. That’s not to say I want books that ignore real-world issues: Superhero comic books have sought to be relevant since Action Comics #1 and anyone who doesn’t see that doesn’t know their history. I’m just not sure that after a day immersed in a deeply troubling, never-ending news cycle, that this is the comic I’ll want to pick up. 13. But it will be awfully difficult to ignore. I haven’t read the issue yet, but Wally’s death seems to undermine the whole point of DC Rebirth to me. It tells me there is no actual “plan” in place to right the course of their universe over all. Everything they’ve been building toward, starting with the event that goosed their sales for the first time in years, just went out the window, in my opinion. I’m sure it’s a well-written work, and the art is gorgeous, but I don’t think I have it in me to care anymore. Comics are just too darn dark and serious. I can read most written prior to the ’90s but by time the 52 came around I was done. The sad thing is I don’t see myself sharing the joy of modern comics with my grand kids once they get here. 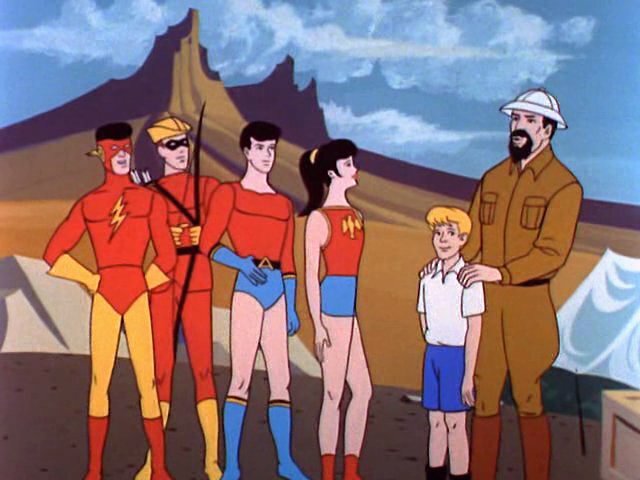 They will be exposed to ’66/Filmation/BTAS but it will stop there. Killing Wally, especially before Geoff Johns’ Rebirth plan pans out in Doomsday Clock, was foolish and pointless. Loved the first issue of Heroes in Crisis but cannot forgive DC for killing off my generation’s Flash. I’d say that the “optimistic tone” never truly took hold, even with Rebirth. But recent “events”, such as Metal and, particularly, No Justice (I’m getting real tired of reading “the Justice League broke the multiverse!” in various books), have been quite dark and the follow-up books show no sign of getting any lighter. (By the way, Marvel’s no better in this area.) 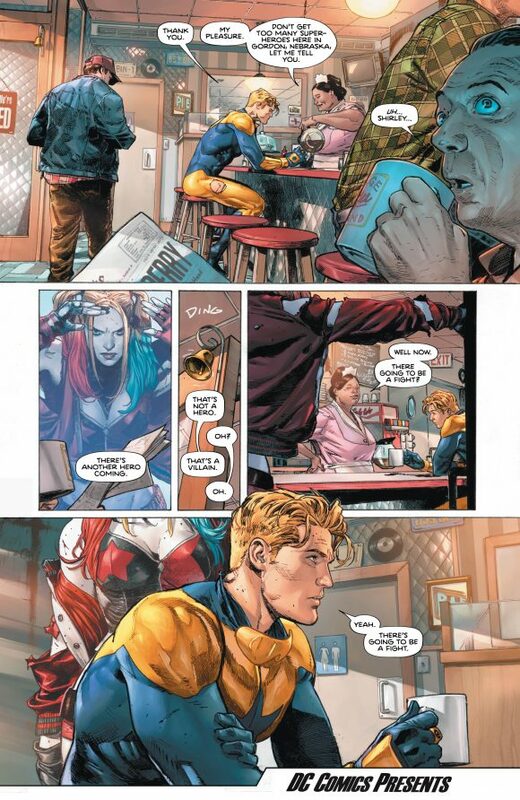 Heroes In Crisis feels a lot like Identity Crisis did, and given how dark THAT went, I’m not hopeful for hugs and puppies.